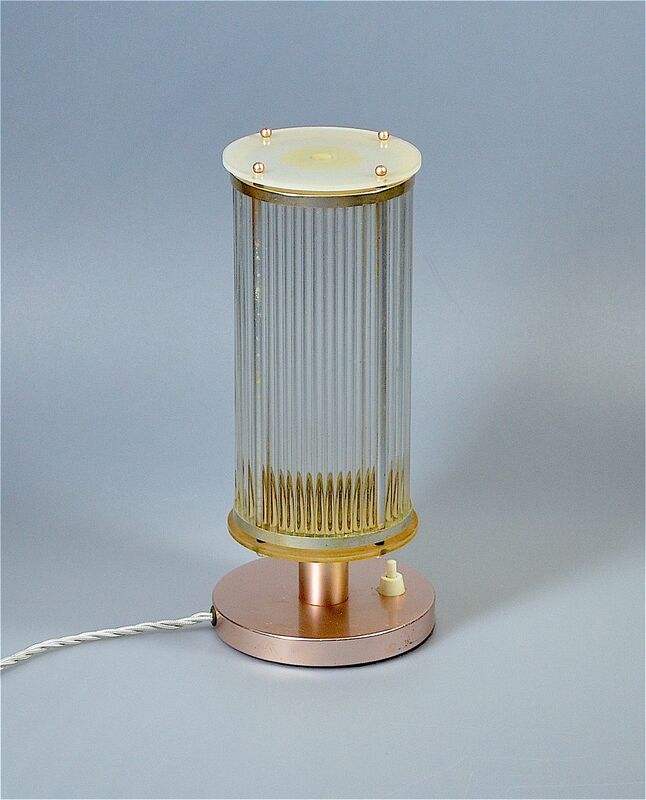 This fantastic lamp is made of anodised aluminium and I believe is probably American and made c1940s-1950s . The base is round with a stem leading to the shade and is a pale coppery colour which I understand results from the use of copper to anodise the aluminium. The shade is cylindrical having a metal frame that is filled with clear glass rods. Both ends of the shade are round discs of lucite.